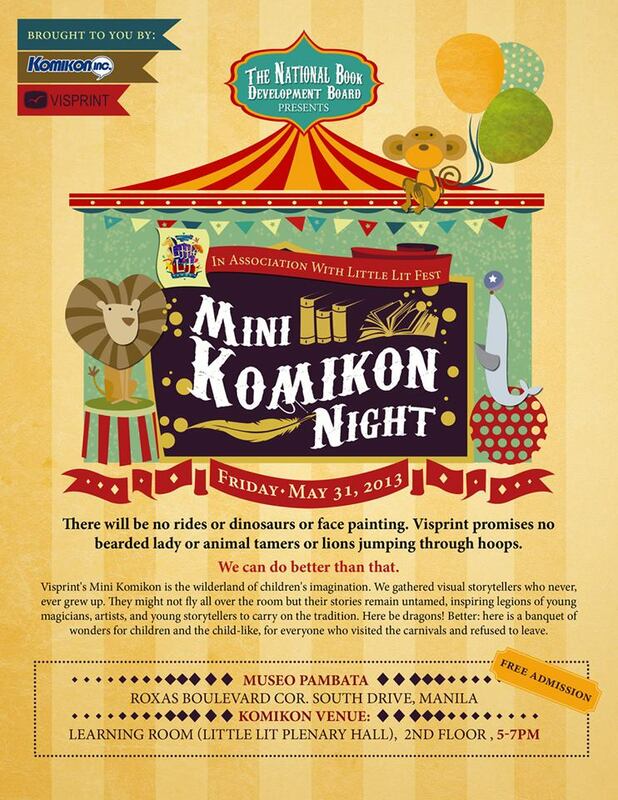 Beerkada Comics » Mini-Komikon Night this Friday! Bring your kids over at the Learning Room, Museo Pambata, Roxas Blvd. cor South Drive, Manila this May 31, 2013, from 5 – 7pm! Book readings and other kid activities will occur.